Education comes first at both Wag ‘N’ Tails locations in Shelby Township, Michigan. We appreciate that you are a parent to your dog, not just a dog “owner.” That’s one of the reasons why education comes first for us. This is also why we prefer to be called your dog’s school – We’re so much more than a doggie daycare. As professionals, we take pride in knowing what makes your dog happy – and healthy. Buddies hanging out! Many of our dogs grow up together with coordinated days and visits. Who Is Worthy of Your Dog’s Attention? As pet parents ourselves, we know that choosing a trustworthy care provider and/or a care facility is an important decision. We appreciate that price and location is certainly a consideration, although, much like finding care for your child, there’s even more to consider. 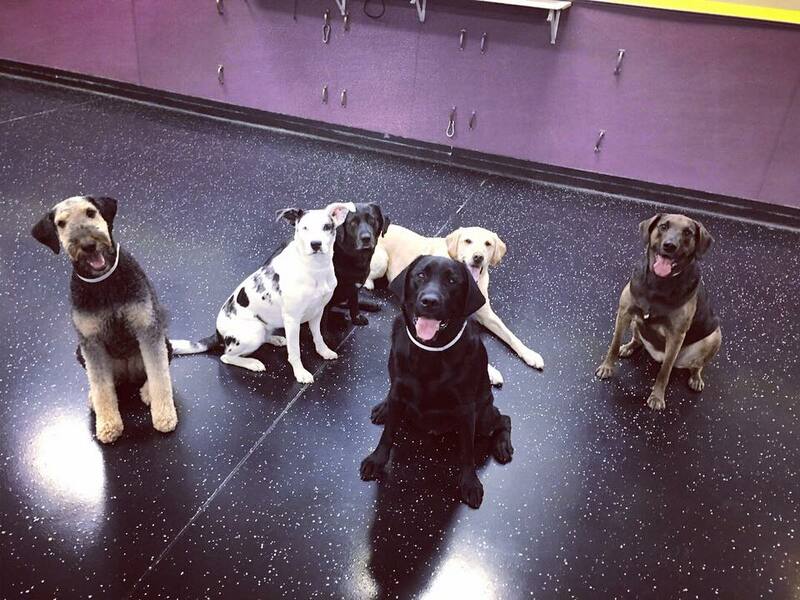 At Wag ‘N’ Tails you have found your dog’s school – so much more than a “doggie daycare.” We think there’s a difference! With so many dog care centers to choose from, how do you decide? We’ve listed our reasons, well…a few of them! Experience: Staff training and education. Professional Care: Confidence and skill. Security and Safety Protocols: Education and strict policies. Activities: Keeping the brain active too! Wellness Checks : Individualized care. Comfort like home: We are not a kennel. Tour Time: We’ll take you all the way through our dog house. We love when company comes over! Caregiver ratio: Our trainer -to-pet ratio is no more than 10 dogs per handler. This means that at all times, there is more than enough qualified and experienced staff to accommodate your pets every need – safely and professionally. 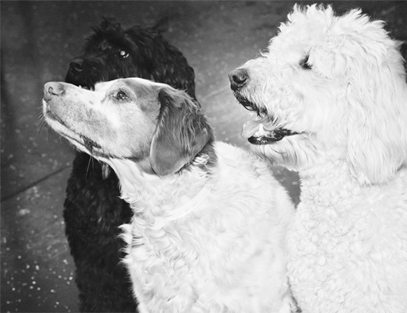 Methods and Experience: Our dog trainers on staff have skill sets that give them the positions they have. Trainers must advance throughout their education in order to proudly offer their talent. The best way to explain it, is that we employ people looking for careers, not just a job. 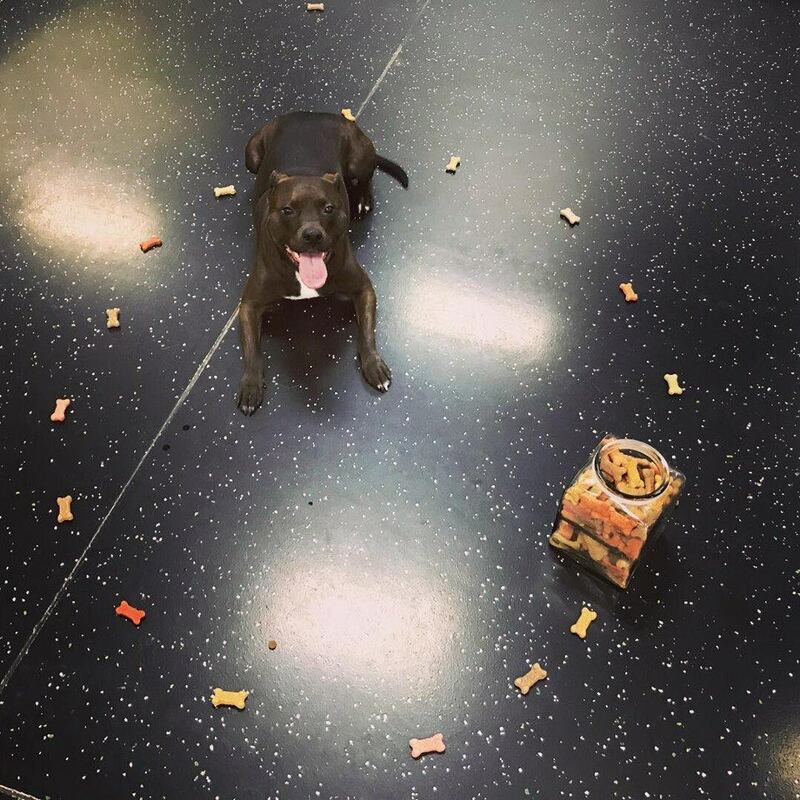 Happy dog – Happy parent! Here is a great list of questions from the International Boarding and Pet Services Association that might help you know if you’ve chosen the best care center for you and your family. The Dog Gurus share a few tips here on knowing if your dog is happy with the care center you’ve chosen. When your dog is happy, you will be happy! Keeping in mind, that when your dog isn’t happy or comfortable, you would know. We always encourage you to “speak” on behalf of your dog, and we vow to forever do the same! All dogs are unique with their own individual needs and preferences. Together, we will find the program that suits your needs best! As our dog’s age with us at Wag ‘N’ Tails, their needs change along with their health and even activity preferences. The open communication we have with our pet parents is one of our number one compliments! Dog’s don’t talk, (not like us!) so we always count on our pet parents to talk on their dog’s behalf enabling us to provide the service needed most. Down stay and Leave it Cues. There’s something to be said for community involvement and trust. When we are passionate about the learning process, we aren’t just referring to the dogs, their lessons, and their future. In order for us to live by the words of our mission statement, education must be offered to not only the dogs but their families as well. For us to achieve those goals, it’s imperative that our amazing staff is educated in order to offer our skills to the community. Education is the key to our success and what makes us awesome! We are proud of who we are at Wag ‘N’ Tails and who we continue to be! Please don’t hesitate to reach out with any questions about our unique services and care. We had our 6-month-old old German Shepherd Diesel boarded at Wag ‘N’ Tails while out of town. We also scheduled extra training sessions while he was there. I have seen so much improvement in such a short period of time. Diesel is no longer pulling when being walked & although he still barks like a maniac at other dogs I am now able to get his attention with the “watch me” command…refocusing his attention every time. Diesel had a blast & can’t wait until next time his pack leaves town 🙂 Erica Adams Keesee. Wag ‘N’ Tails helped us LOVE having a dog again! Our pup Rosie has been enrolled in puppy classes, daycare, boarding, and grooming. The lessons taught us class work! 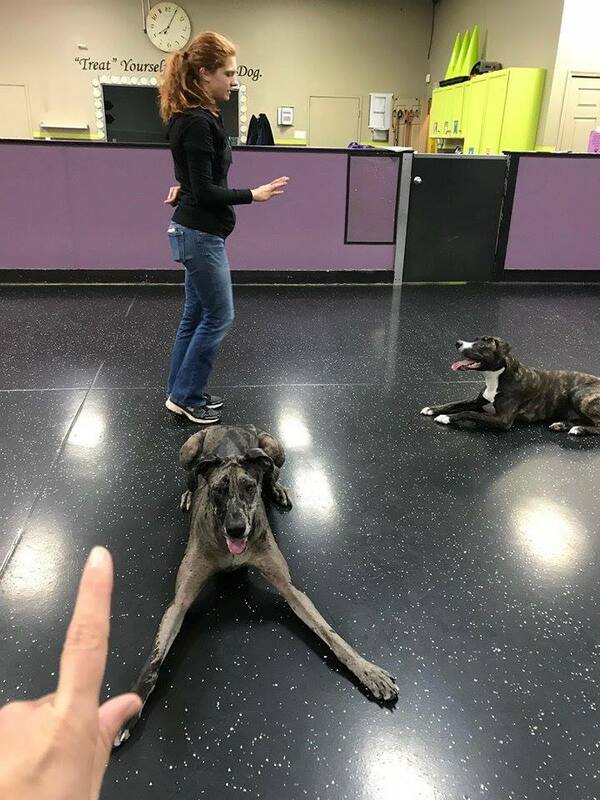 Day Care is a blessing to both dog and busy family, as well as boarding. And Maire the groomer takes great care of Rosie. She always looks and smells great! Best of all, Rosie loves going! She used to be shy but now jumps up joyfully in the lot. I highly recommend this place. It has helped to make dog ownership so enjoyable! Alex Van Almen. Cannot speak highly enough of Wag ‘N’ Tails! All of the staff is wonderful! When I adopted my dog, Koba, he had been attending Wag for daycare and training as a foster. Even though it is over an hour from my house I still take Koba here to play with his friends as it’s worth the drive. He loves it! Additionally, I love the Wag isn’t just a free for all play space. They work with him on solidifying basic commands while he’s there. They are an amazing center that really knows how to handle dogs and look out for the animals best interest. Wag really becomes family for the animals and their humans! Jolene Kijorski. Wag ‘N’ Tails dog training is a place I refer many of my current clients to. They only use force-free, scientific based techniques that follow proven teaching methods like classical conditioning and operant conditioning. Training here taught me a lot about dog behavior and how to successfully communicate with my dog! – Laura Byrd, Wilson Veterinary Hospital. Wag”N’Tails helped us for one year re-socialize, train, and communicate with our rescued Rottweiller, as she had so many anxieties to overcome. Joe, stayed with us through the training sessions, came by our house for two visits, and answered all of our questions each time we called. Without his backing, our Jolene Rae would not be the calm, fun loving dog she is today. THANK YOU! Hi Leslie! We’re so happy you were pleased with your education from Joe. Thanks for all the “praise!” Have a fun summer with Jolene Rae, give us a call anytime!